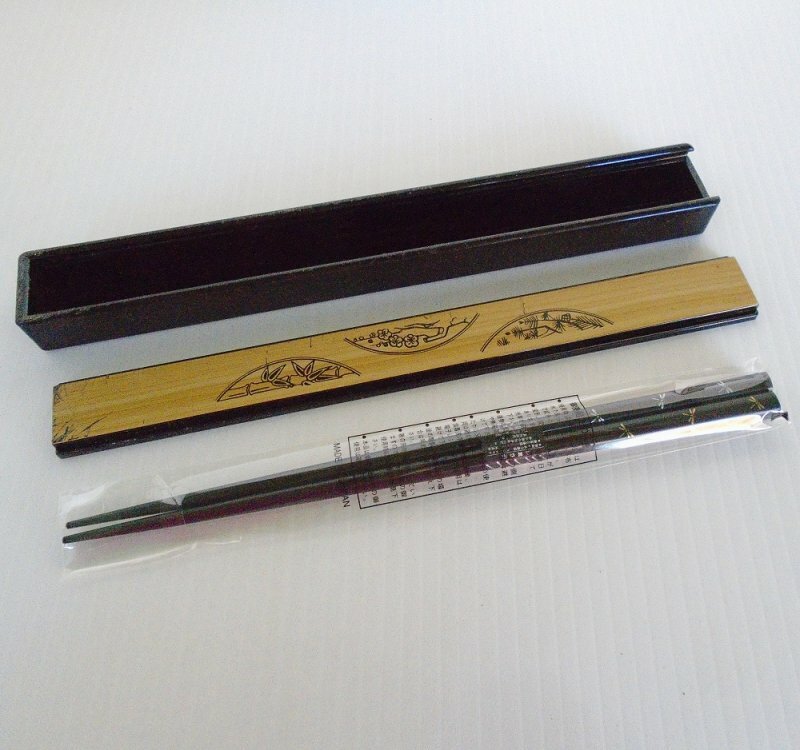 Classy set of black chopsticks with gold and silver dragonflies. In sealed packaging, never used. Comes in protective acrylic box. 9 inch. Nice set of high quality chopsticks measuring 9 inches long. I believe they are made out of wood, but they are in sealed packaging and I'd rather not open them. They look and feel like wood though. 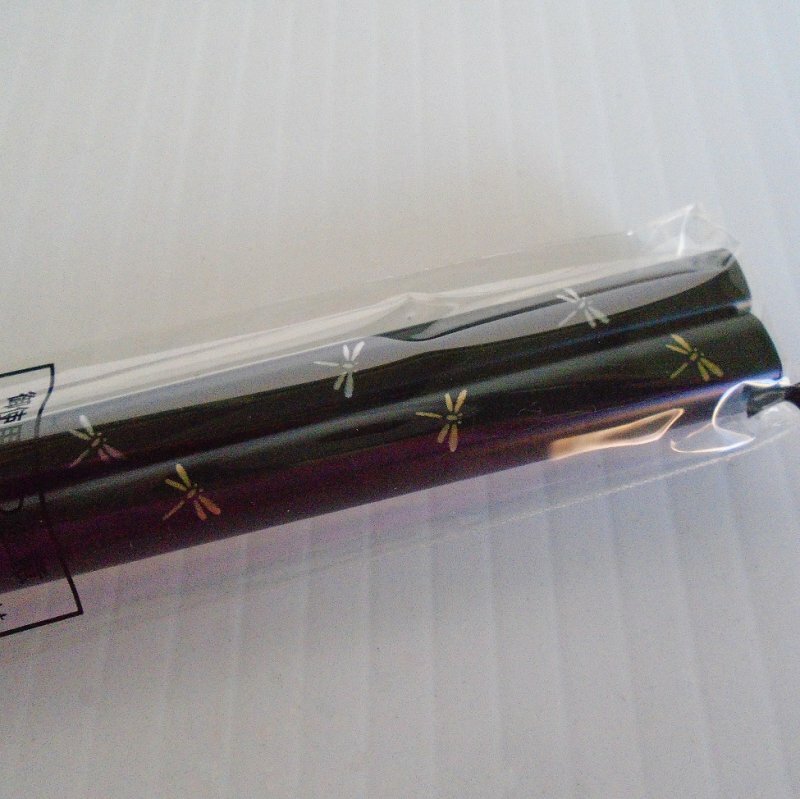 One chopstick has gold dragonflies on the end, the other one has silver colored dragonflies on the end. The packaging and the wrapper around the pair has quite a bit of writing, but I don't speak Japanese so can't tell you what's written there. They will come in a nice plastic box, probably acrylic of some type. The bottom of the box also has Japanese writing but also says "Made in Japan". The box has some scrapes, probably from years of sliding around in a drawer. Unknown age as I purchased the set at an estate sale. Delivery will be via USPS First Class Mail Parcel from California. Buyer to pay delivery charges of $4.75.